We are very happy to announce the return of one of our most acclaimed events: The Boquete Book Fair. 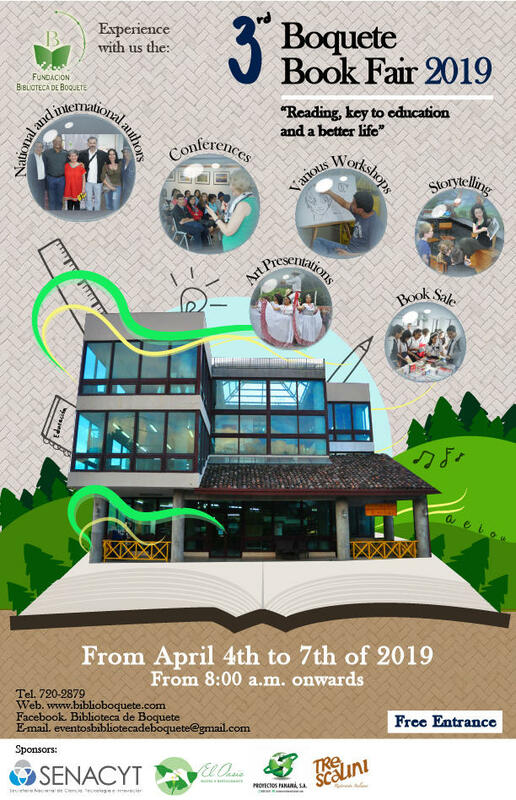 This literary festivity will be from April 4th to 7th of 2019. In this third version our motto is: "Reading, key to education and a better life". For this homage to literature, we will have book presentations, conferences, storytelling, art presentation, the visit of well-known national and internacional authors, and book sales from the different editorial houses. Save the date, we will keep you updated!